If you are just starting off your career as a programming student or you are a professional programmer or a developer and planning to buy a normal usage laptop for your programming work then you are wrong. Because if you want the best laptop for programming then it requires power, performance, and ability to do your work smoothly. There are thousands of laptops are available in the market and from that, some of them are budget-friendly while some of them are expensive. But the thing is that not all the laptops are capable enough to handle your programming or coding work. Finding the best laptops for programming students is not an easy task as much as you think. You need to check many things depends upon which programming language you will use and what kind of programming you will do. So which thing is important to check for the best programming laptop? Don’t worry here is my comprehensive laptop buying guide which helps you if you are programming student or a developer, you will get all the answers to your question how to choose the best laptop for programming and coding. Before we move towards the list of best laptops for programming students I suggest you check the below few important things which you need to consider. There are a number of programming languages are available which you can use for coding. To run multiple compilers, local servers, and code editors smoothly a programming laptop should be powerful enough to handle heavy multitasking. What kind of configuration makes it ideal for programming? or what are the things that you should know before buying a laptop for programming and coding? For programming and development, the most used operating system for many years is Microsoft Windows and Apple macOS. If you are an iOS app or software developer then you will have to buy a MacBook because Objective C and Swift requires Xcode which is available only on Mac. But if you are not an iOS app or software developer then the Windows is the best option for you and also it supports almost all the programming language. The MacBook is expensive than the Windows laptop, which many of us can not afford it. If you are a beginner or website/app developer then Intel Core i5 processor is powerful enough to fulfill your requirements. But if you are into an intense gaming or software development work then I recommend you to buy an Intel Core i7 processor laptop. To run compilers, local servers, code editor and a web browser smoothly at a time you need a good amount of RAM. If you are a web or app developer then its good to have at least 8GB of RAM. But if you are into game or software development programming then I recommend you 16GB of RAM to complete your work efficiently. The latest processor’s integrated graphics are good enough to handle normal graphics-related programmes. It’s good to have a dedicated graphics card which helps to improve the overall performance of the laptop. A laptop with 2GB of graphics card is good enough for programming and gaming to play games occasionally on your laptop. But if you are into gaming development then definitely you need a powerful dedicated graphics card. The laptop which comes with SSD is faster than the HDD which you will find in a laptop which will cost you more than $600. The SSD help to boot the system fast and open your previously saved project quickly where you left off. Almost all the laptops which come with the HDD provides you 1TB of storage space, while at the same price, SSD provides you 256GB or 512GB of storage space. So it’s all up to you if you want a faster performance with less storage space then go with SSD but if you want more storage space simply go with the HDD. I hope might be your all doubts get cleared and now you can choose the laptop for programming for yourself. Before we going to move towards the list of best laptops for programming and coding I suggest you first select the programming language which you want to use and then choose the operating system for your laptop. So it will help you to find the best laptop for a programming language from the below-given list. 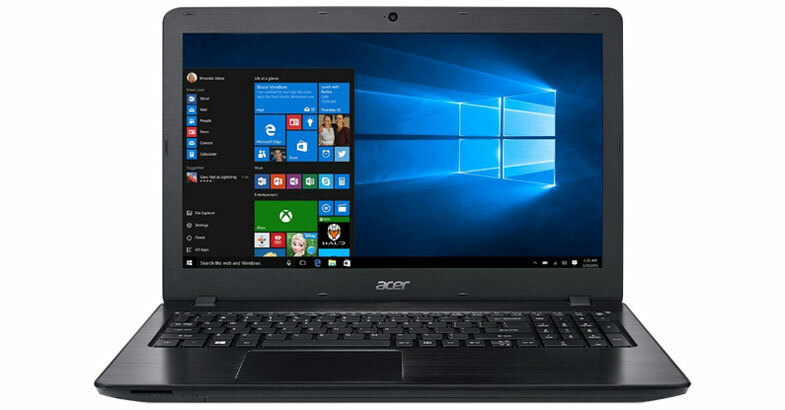 Acer Aspire E 15 is our top choice and that’s why added on top of the list of best laptops for programming students for those who are looking for a mid-budget laptop. This Acer Aspire E 15 is an affordable all-purpose laptop which you can use for programming and gaming it can easily handle almost all the task which you will throw. Speaking about the specifications of the laptop, it sports 8th Gen Intel Core i5-8250U processor with turbo boost up to 3.4GHz. The laptop is backed by 8GB of RAM and 2GB of NVIDIA GeForce MX150 dedicated graphics card, so it is good enough to handle almost all your task with ease. 256GB of SSD this laptop has got which makes it the best laptop for programming and gaming in this budget segment. If you are concerning about the display of this laptop then it has got 15.6 inches of full HD display with widescreen LED-lit IPS panel which provides crisp and clear visual experience. The battery life of this laptop is very powerful which provides you up to 15 hours of battery backup on a single charge. Overall, this is a great laptop with great features at an affordable price which makes this Acer Aspire E 15 to our top choice of this list. If you are a programming student or if you have a limited budget then this ASUS VivoBook F510UA is the best option for you. This is the cheapest laptop on this list but it comes with the perfect combination of performance and function. This ASUS laptop has got 15.6 inches of full HD display with ASUS Tru2Life video technology which gives you an amazing visual experience. The display of this laptop features four kinds of display mode such as normal, vivid, eye-care, and manual which you can access with just a single click. It is powered by the latest and powerful 8th Generation Intel Core i5-8250U processor and backed by 8GB of DDR4 RAM to handle your multitasking work. The only downside of this laptop is it doesn’t come with a dedicated graphics card but its integrated Intel UHD 620 graphics is good enough for casual gaming and programming. The storage of this laptop is handled by the huge 1TB of HDD which is good enough to store all the important files and data. Moreover, it runs on the Windows 10 operating system and got all the required ports and slots. The powerful internals is packed in an amazingly thin 0.8 profile which weighs just 3.7 pounds. So if you are a student or professional developer who regularly travels with the laptop then this is the best portable laptop for you. 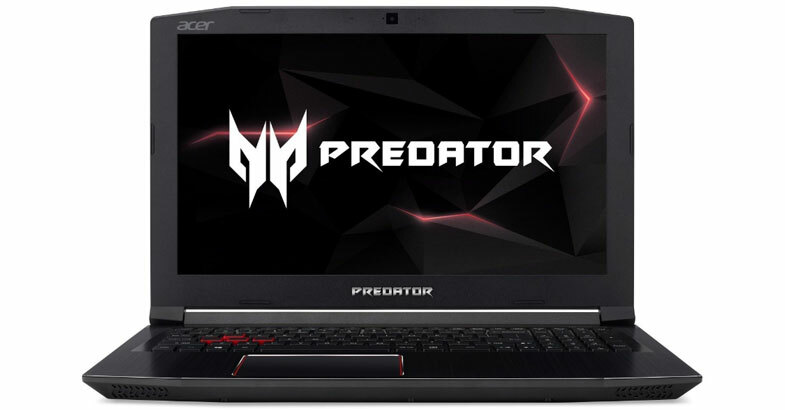 Under the $1200 budget, this Acer Predator Helios 300 gaming laptop is the best bang for buck deals for you, which you can use for programming and gaming or anything else. Its black metal finished chassis with red accents, which gives it look more appealing and feel premium in hands. Speaking about the performance of this laptop, it is powered by the 8th Generation Intel Core i7-8750H processor which provides more power and more high-quality entertainment on the go. To handle your multitasking work with ease it comes with 16GB of DDR4 RAM. On the storage front, it has got 256GB of SSD which is faster and secure than the HDD. If you are concerning about the graphics of this laptop then it comes with mammoth 6GB of NVIDIA GeForce GTX 1060 dedicated graphics card. It sports 15.6 inches of full HD widescreen LED-backlit IPS display which delivers consistent, brilliant color from any perspective. The battery backup of this laptop is decent which provides you up to 7 continues hours of battery life. To keep the system cool and stable during heavy multitasking for a long time it comes with two all-metal AeroBlade 3D Fans. 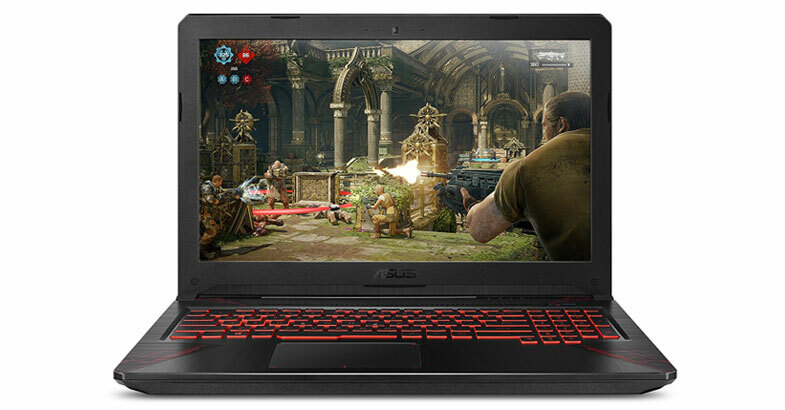 This ASUS TUF FX504 is a pure gaming laptop if you are planning to buy the best laptop for programming and gaming then this one is for you. You can easily understand that this is a gaming laptop through the design which it has got. It sports 15.6-inch of full HD matte display, which will never irritate you from glare while you are working on your project. To make this machine powerful it is equipped with 8th Gen Intel Core i7-8750H processor and backed by 16GB of DDR4 DRAM. The graphics of this device is handled by the NVIDIA GeForce GTX 1060 graphics coprocessor with 6GB of dedicated graphics memory. If you are concerning about the storage then thanks to its dual storage compartment which is 256GB of SSD which boot up your system fast and 1TB of huge HDD which is good enough to store your all the personal and professional files and data. Apart from this, it has a dual-fan cooling system to keep this powerhouse machine cool and stable while you are doing heavy multitasking work or playing an intense gaming session. Moreover, it has red ASUS AURA backlit keyboard take your gaming to the next level. All in all, this is the best laptop for gaming and programming which you can buy right now. 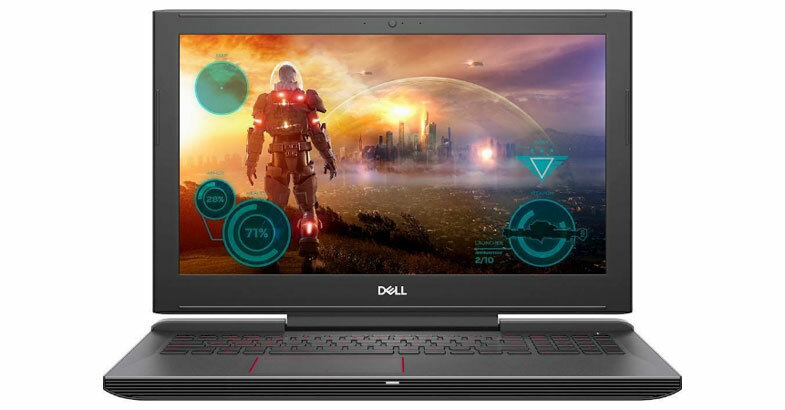 This is another gaming laptop in this list but this one is from Dell. You can also use this Dell G3579-7989BLK-PUS laptop for programming, especially for the game developers and graphics programmers. It has got 15.6 inches of full HD IPS anti-glare LED-backlit display which is proper display size for coding. Under the hood, it sports latest 8th Gen Intel Core i7-8750H processor and runs on the Windows 10 operating system. To handle your heavy multitasking work or gaming it comes with 16GB of RAM which is good enough to deliver you a smooth working experience. The graphics on this device is backed by the 4GB of GDDR5 NVIDIA GeForce GTX 1050 Ti graphics card. On the storage front, it has got combo storage compartments such as 256GB SSD + 1TB HDD which is good enough to store all your programming software and games. Apart from this, it comes with the backlit keyboard which helps you to work even in a low-light environment. The best part of this Dell laptop is its dual fans cooling system helps to keep your machine cool even after a long working or a gaming session. To enjoy your favorite games and movies it has got Waves MaxxAudio Pro that immerses you in its superior sound quality. The ASUS VivoBook Pro has got a powerful hardware configuration which is perfect for programming, coding or any other purpose it can handle any of your tasks with ease. If we see then from its performance to build quality, Asus has not compromised with it and make this laptop an ideal. If you love to work on a bigger display then this laptop is the best choice for you as it has got 17.3-inch full HD wide-view display with 72% NTSC color gamut which provides richer, deeper and more accurate colors. 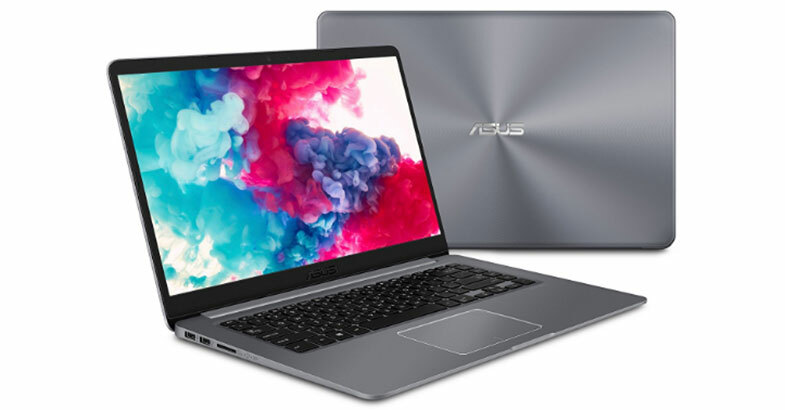 Speaking about the internals of this laptop, this ASUS VivoBook Pro is powered by the latest 8th Generation Intel Core i7-8550U processor which turbo up to 4.0GHz. To handle your multitasking work and deliver you a smooth working experience the laptop is backed by 16GB of DDR4 RAM. 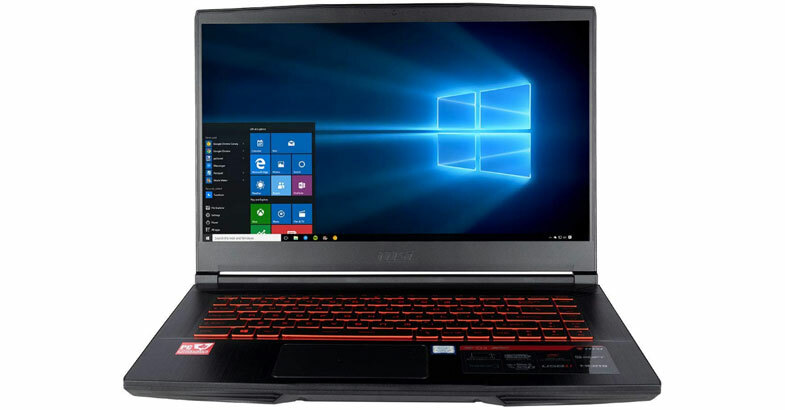 If you are concerning about the graphics of this laptop then it has 4GB of NVIDIA GeForce GTX 1050 dedicated graphics coprocessor which will provide you flawless visuals. Thanks for providing a dual storage compartment of 256GB lightning-fast SSD and 1TB massive HDD which is more than enough to store all the data. Moreover, the laptop comes with an ergonomic backlit keyboard with number pad which will help you while you are coding. The best thing about this laptop is it has a fast charging technology which charges your laptop up to 60% in just 49 minutes only. 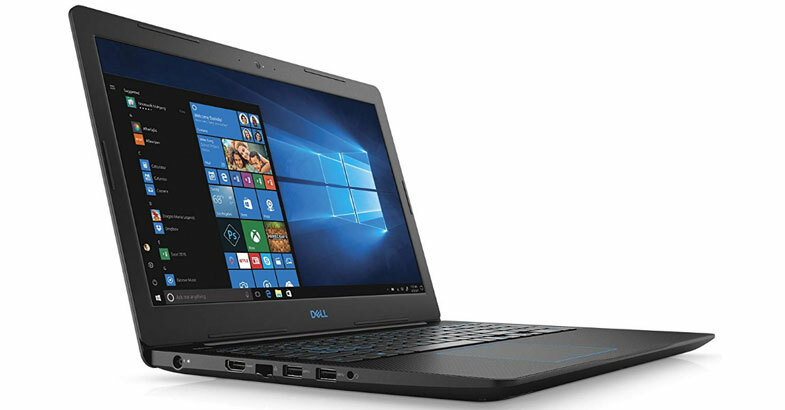 If you are looking for programming laptop with powerful innards around $1000 budget then this Dell G5 15 5587 is the best option for you. Its design with a Licorice Black metal finished chassis gives it to a very rich look and feel. The build quality of this laptop is great which comes with a solid and well-constructed design. It sports 15.6 inches of Full HD IPS Anti-glare display with 1920 x 1080 pixels resolution which delivers you sharp and accurate colors from a wide viewing angle. To make this laptop powerful it is equipped with the 8th Gen Intel Core i7-8750H processor and backed by mammoth 16GB of RAM which makes it perfect for the developers and graphics programmers. To handle graphics of this laptop it comes with NVIDIA GeForce GTX 1050 Ti graphics coprocessor with 4GB of DDR5 dedicated graphics memory. This Dell laptop has got dual storage segment such as 128GB SSD + 1TB HDD. Moreover, for connectivity, it has got all the required ports and slots. The keyboard of this laptop is backlit enabled which help you to do your work even in a low light condition. Overall, if you have around $1000 budget then this Dell G5 15 5587 laptop is one of the best laptops for programming and developers. This MSI CUK GF63 8RD is from one of the well-known laptop brands who manufacture dedicated gaming laptop only. And this MSI GF63 is part of the new kind of aesthetically pleasing thin and light gaming laptop. It has hair brushed line aluminum finished chassis and the X-Vented underside gives this gaming laptop to the perfect balance between design and performance. It has got 15.6-inch of full HD display with IPS technology, which brings true-to-life visuals producing brilliant clarity and contrast. This gaming machine is powered by the newest 8th Generation Intel Core 8750H Six-Core processor and combined with 16GB of RAM to deliver a smooth working experience. It also has 4GB of dedicated NVIDIA GeForce GTX 1050 Ti graphics, which makes this laptop suitable for game developers and heavy multitaskers. Thanks for providing hybrid 500GB SSD + 1TB HDD drive, which is good enough space to store all your personal and professional data. All these powerful specs are packed in 0.85″ thin profiles which weighs 4.1 pounds only and this thing makes it an ideal in this list. This gaming laptop runs on the Windows 10 operating system and got all required ports and slots. 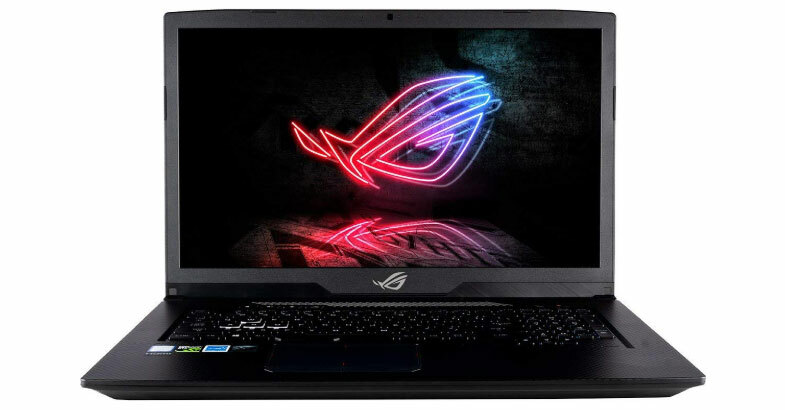 If you are looking for a gaming laptop which you can use for programming then this ASUS CUK ROG Strix Scar GL703GM is the best choice for you. Because ASUS has launched this ROG (Republic of Gamers) series laptops especially for gaming. This gaming laptop has 17.3″ inches of full HD Matte 120Hz of the display, which delivers a multitude more frames within the same amount of time as compared to standard 60Hz display. This gaming machine is powered by the newest 8th Gen Intel Core i7-8750H 6-core processor with 9MB cache and turbo boost technology up to 4.1GHz. It runs on the Windows 10 operating system and to take care of multitasking it is equipped with 16GB of RAM. If you are concerned about the graphics of this device then it has got 6GB of NVIDIA GeForce GTX 1060 dedicated graphics card. For the storage, this laptop houses with huge 1TB of SSHD drive, which is better than the HDD drive. Apart from this, it has got full-size ASUS AURA SYNC customizable RGB gaming keyboard which takes your gaming to the next level. It has an advanced cooling system with an exclusive internal design which forces dust and debris to exit from the chassis through the fan module’s two anti-dust tunnels. If you are using Swift and Objective C coder then Apple MacBook Pro 15 is the best option for you to build games and apps for macOS and iOS. 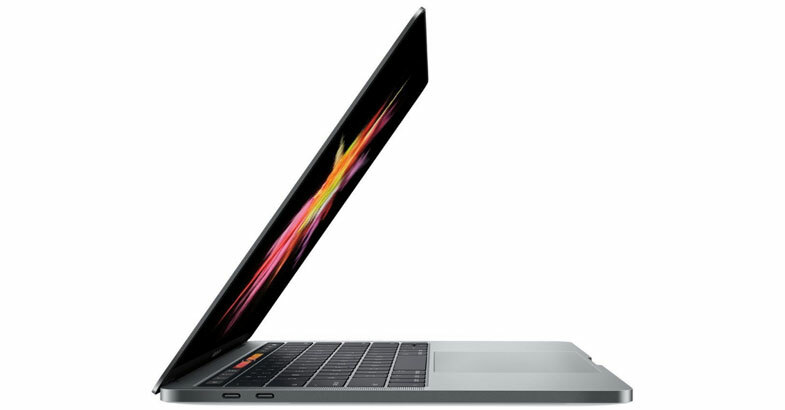 This newest version of MacBook Pro features with touch bar and powerful hardware configuration. Speaking about the specs of MacBook, it is powered by the 8th Gen Intel Core i7 processor and paired with 16GB of RAM. The graphics on this device is backed by 4GB of AMD Radeon Pro 555X graphics coprocessor. All together delivers you an amazing performance which can easily handle all your local servers, code editors, Safari browser with a number of tabs simultaneously without you slowing you down. On the storage front, this notebook comes with 256GB of SSD which is sufficient to store all your programming files and data. It sports a 15-inch of Retina LED-backlit IPS display with 2880 x 1800 pixels resolution which provides you a better viewing angle. This MacBook Pro runs on MacOS Sierra operating system which gives you smoother working experience no matter what. The only thing which may disappoint you is it comes with only Four Thunderbolt 3 USB-C ports, so if you have daily use of SD card then you need to buy USB-C SD card reader additionally to connect your SD card. The battery life of this latest model of Apple MacBook Pro 15 is good which lasts for up to 10 hours on full charge. Overall, this MacBook Pro 15 is a power-packed laptop which delivers you a solid performance which you can use for programming and coding etc. So these are the top picks of best laptops for programming students which are chosen by me and my laptop expert team to keep in mind all the requirement of programmers. I hope that this laptop buying guide which I have created by doing much research and hard work help you out to buy the best laptop for programming students. Are you still confused? don’t worry feel free to ask me by commenting below.